Prevent your mobile devices from sliding with the DashMat - Ultra Low-Profile Dashboard Mat from PanaVise. 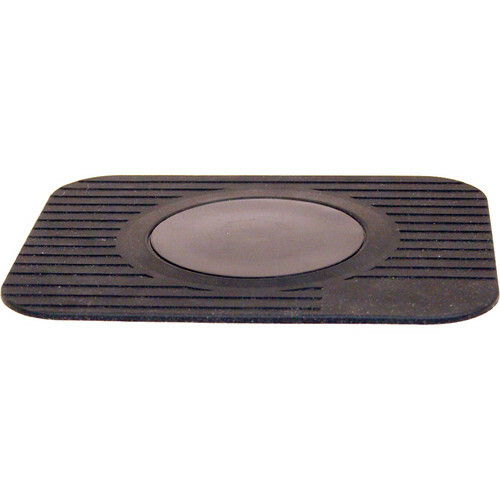 The DashMat has a 3.5" diameter disc designed for use with PanaVise suction-cup mounts or the suction-cup mount that came with your mobile device, and uses a non-skid, non-adhesive surface to seamlessly contour to your dashboard while you drive. Box Dimensions (LxWxH) 10.0 x 8.5 x 0.4"